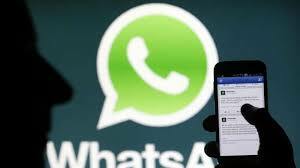 Unhappy with the steps taken so far by WhatsApp, the government plans to reiterate its demand to the messaging app to work out a technical solution to trace the origins of incendiary messages spread on its platform. is drafting a letter — its third since July to the Facebook-owned platform — asking it to design a technology-led solution to the issue that in the past has led to mob lynching or riots in the country. Since India first raising its concerns, WhatsApp has announced measures such as limiting forwards to five groups at a time from the earlier 250, identifying forwarded messages, and a publicity campaign against fake news. The government says these measures may not be enough. “It’s a reasonable demand from us, and very much doable. The third letter will reiterate that WhatsApp is not meeting all our concerns,” said a top government official, who did not want to be identified.